Faridabad district is located in the state of Haryana in India. Faridabad RTO is managed by the transport commissioner. It operates all its activities as per the motor vehicle act of 1988. There are lots of activities performed by the RTO of Faridabad for better management of traffic. Faridabad RTO also focusses on the better management of the transport. It assists in flourishing all modes of transport. All its tasks are focussed on contributing to the betterment of transport and traffic of the city. Faridabad RTO arranges all the timely training related to the road safety management. It also controls the training conducted by all the driving schools. Lots of activities are conducted by Faridabad RTO to make the process automated. It also maintains the database of all the vehicles that contributes to the smooth management of the process. No one is permitted to drive on the roads even at the learning stage. In order to facilitate the drivers who are the beginners, learning license is issued. This license is valid for the period of 6 months only. Faridabad RTO issues driving license within a day if all the documents submitted by the aspirants are accurate. Along with the paperwork, a person needs to undertake the driving tests as well. With the successful completion of documentation and tests driving license is issued at the earliest. Faridabad RTO assists in controlling the pollution by conducting regular vehicle emissions tests. Once these tests are successful, pollution certificate is issued with ease. This is also one of the mandatory document in the vehicles and must be renewed after a stipulated period. These taxs are collected based on the type of vehicles. Criteria are different for all modes of transport. In the case of two-wheelers, vehicle excise is charged based on its engine capacity or the weight. For four-wheelers it is based on the cost of the vehicle. Special permission is guaranteed to the tourist and imported vehicles. 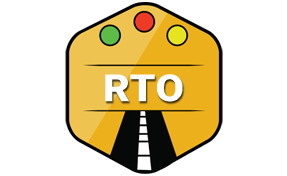 Faridabad RTO is also authorized to grant permits to commercial cargo and fleets. These permissions are given after thoroughly checking the history of the vehicles. Any transport having a criminal record is barred.